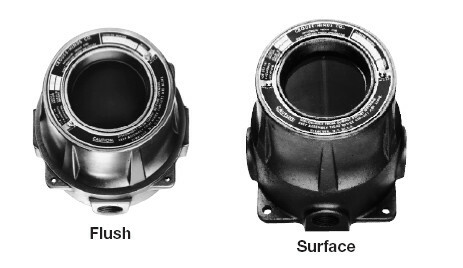 To enclose 21 /2″ or 31 /2″ diameter round, flush rim-mounting meters, whose scale or dial would be visible in the 25 /8″ diameter glass window. Typical types of instruments or meters are ammeters, voltmeters, etc. Download the EMH Series Explosionproof Instrument Enclosures spec sheet below or call 714.835.6211 for more information.